Buster Posey’s return from a horrendous season-ending injury last season has been nothing short of sensational. The collision at home plate with Marlins outfielder Scott Cousins drained any hopes the San Francisco Giants had of defending their 2010 World Series championship. One play put the opportunity for the Giants to even make the playoffs well out of reach. 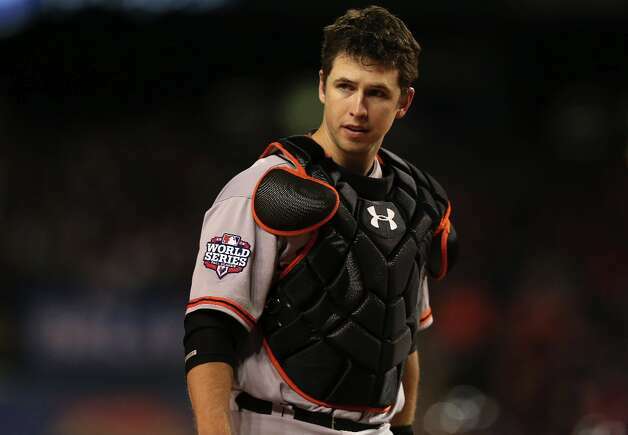 Concerns arose as to whether Posey could even return to baseball the same player. (Cousins has not been the same since either, having grown up dreaming to play for Giants.) He was the rookie catcher who put down the fingers for the best pitching rotation in baseball—and the champions. The future of the Giants was dangling in the wings of a kid who was not even 25 years old at the time but the catcher has battled as the organization and fans expected he would. Fast forward to today and Buster Posey is at worst the second favorite National League Most Valuable Player candidate behind Pittsburgh Pirates phenom Andrew McCutchen. McCutchen has put together an MVP-caliber season for the Pirates. McCutchen’s 24 home runs and 80 RBIs are impressive. Even though Giants star Melky Cabrera still has a shot at the batting title, McCutchen is currently leading the league in average (.344) and runs (91) . But Buster Posey’s numbers stack up very well against the Pittsburgh outfielder. First, his average is a solid .329. And playing half of his games at the pitcher’s friendly AT&T Park while managing 19 home runs and 83 RBIs is at least as good as McCutchen’s numbers. Don’t forget that Posey has been absolutely tearing it up of late. In the month of June, he hit .381. Last month he probably cooled off a bit, right? Well yes, if you consider .371 a drop to mediocrity. Posey and McCutchen are very even statistically, and the final stretch of games could determine the fate of the MVP trophy. But if they are as (or more) even than they currently are, the MVP trophy will be in the hands of the first San Francisco Giant since none other than Barry Bonds. Why? For one, it is the rare occasion that an MVP award is given to a player whose team does not make the playoffs. Barry Bonds’ 2004 season and Larry Walker’s 1997 season are two prime examples and both had absolutely incredible seasons. McCutchen is not on that level and not far and away the better player. Contrastingly, Posey has propelled the Giants into playoff contention. Although he had some help from Melky Cabrera up until the suspension, Posey is the threat in the middle of the order that helps the Giants put runs on the board—something they have perennially struggled to do. Combine that with his scorching hitting of late and sportswriters will remember that Posey was a difference maker in a postseason run and McCutchen on a Pirates team that was in a division with two better teams than them. Nobody has forgotten the extreme odds Posey was facing this season. The Giants were hoping for more than a mere shadow of their catcher who had fallen to injury in 2011 and got an MVP candidate. In the end, the award is for most valuable player. The Giants won the World Series with Posey, failed to make the playoffs without him, and are on their way back to October baseball because of him. This article was originally published on B/R. and also you'll get accepted to loan after as few as 90 just a few seconds instant payday loans all the treatments, including overnight stays, have the freedom. complicated forms or give collateral. folks points that the vast majority sway our service.